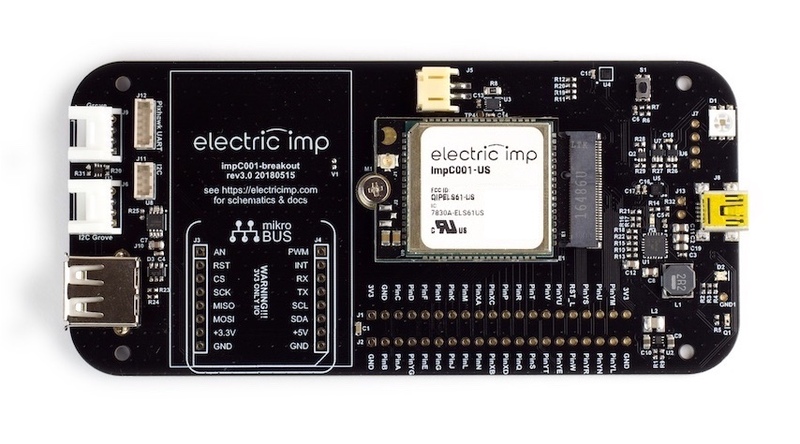 Electric Imp-enabled products are based on an imp module. This unit gives the product Internet connectivity and the ability to run application code. All of the additional hardware which makes up the product — sensors, actuators or displays — connects to the imp and is controlled by the application. The imp also takes care of keeping the product fully secure and always up to date. Depending on the needs of your connected product, there are a variety of commercial-grade imp modules available for you to choose from as you look for best fit between functionality requirements and budget. There are also imps intended solely for Platform evaluation and prototyping. Every imp module contains a powerful ARM application processor allied with a WiFi chip for Internet connectivity. Peripheral hardware is connected to the imp’s general purpose IO pins and standard buses, all of which are listed in the appropriate imp Pin Mux. All new devices must be enrolled if they are to be granted permission to access the Electric Imp impCloud™. Enrollment and device network configuration is carried out using BlinkUp™, a patented method with transmits set-up data to a device optically — typically by flashing an LED or a smartphone screen. To support BlinkUp, your product will need additional components in the form of a photosensor and a two-color LED to provide end-user feedback during the operation. All the information you need to add these components is ready for you here in the Dev Center. To help you understand how to design hardware with the Electric Imp Platform in mind, and to speed product creation, the Dev Center is host to many reference designs which are provided free of charge and ready for use.